Jumbo’s Cream Cheese Bacon Wrapped Jalapeno Poppers are the perfect party food. Great for appetizers, finger food, or just stuffing yourself. These mouth-watering appetizers will be a must-have at all of your parties and get-togethers. Do you like this recipe? 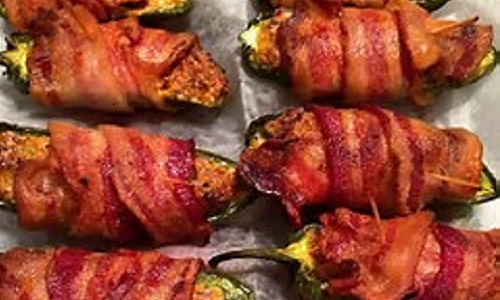 Check out more like this at our recipes page: www.jumbossloppyjoesauce.com/recipes. Your mouth with thank you!